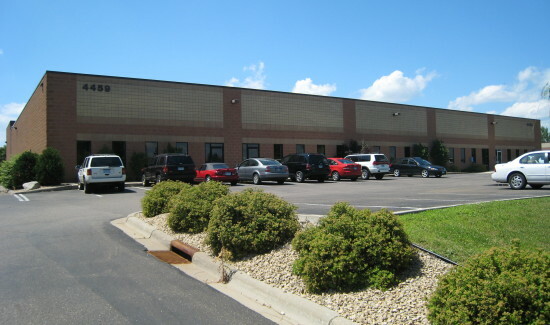 ARC is a small business with a world class facility in White Bear Lake, Minnesota, just 10 minutes north of downtown Saint Paul and 26 min (19.7 mi) via I-35E from the Minneapolis-St. Paul (MSP) Airport. The facility has three clean rooms, two are ballroom style Class 100, with the third being an assembly and analytical clean room. ARC has dedicated areas for: Ultra Machining Fab, Micro-Nano Fab, Wafer Dicing, Assembly, Electronics and Test Equipment Labs, and the usual engineering and administrative offices. ARC has a thorough computer modeling suite, including COSMOS Works, and COMSOL Multi-Physics, which allows the Company to service customers who require more sophisticated solutions. ARC maintains robust Fabrication Clean rooms which support Sputtering and Electro-deposition, Ion Milling, Photolithography, Hydrogen Annealing, and a full chemistry lab. ARC routinely processes substrate materials such as silicon, compound semiconductors, glass, metal, polymer and other ceramic substrates. The ARC deposition target list includes over 60 Elementals, Dielectrics/Glasses, Magnetic Alloys and other Alloys. ARC considers Ultra Machining to be Meso Machine Fabrication. ARC is not a machine shop in the classic sense of the word. The company gets the jobs that other machine shops often cannot do, e.g. ARC flat grinds 2×2 inch Silicon Carbide Substrates flat and parallel to ±0.50um for 30 years. ARC regularly uses characterization which ensures that parts are within specification. The Lab has analytic and characterization capabilities which include ellipsometry, AFM, FIB, SEM-EDS, XRF, profilometry and high precision optical programmable microscopy. ARC has a number of outside customers for which we provide analytic and characterization services. ARC has extensive experience utilizing custom software solutions to automate measurement and characterization testing. The company has consultant(s) that support projects requiring electronic technology. ARC’s facilities meet environmental laws and regulations of federal, Minnesota, and local Governments for: airborne emissions, waterborne effluents, external radiation levels, outdoor noise, solid and bulk waste disposal practices, and handling and storage of toxic and hazardous materials.